The summer is winding down, and in other parts of the country, so are outdoor music events. However, San Diego’s incredible climate allows us the distinct pleasure of enjoying outdoor concerts well into the fall. For example, the Birch Aquarium at Scripps provides unparalleled ocean views during its summer-to-fall concert series. Humphrey’s Concerts at the Bay is another art performance series that offers live music and comedy through the end of October. With several weeks left of exceptional outdoor music performances, be sure your ears are prepared for the task. Your ability to hear properly is a key factor in the overall experience of a musical event. For that reason, many individuals decline using foam earplugs. As professionals in hearing health and technology, we understand that these devices can slightly alter the sound experience by muffling certain frequencies, but did you know there are ways to replicate the sound at less dangerous noise levels? There is an advanced form of hearing protection that actually processes incoming sound and replicates the frequencies at a lower volume. This high-fidelity technology is commonly used in place of traditional earplugs for musicians and is referred to as “musicians earplugs.” An audiologist performs an impression of the ear to provide a custom-fitted earmold that won’t interfere with the sound experience. For those with some degree of hearing loss, the best way to experience live performances is by using hearing aids. The technology has improved exponentially in the past several years. In modern devices, digital processors are used to reduce the volume of unwanted sounds and amplify quieter frequencies. New digital devices can also be programmed to treat your specific hearing loss in a variety of settings, including concerts. 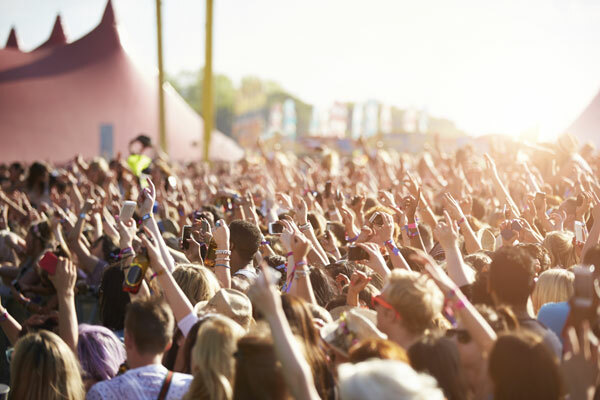 Taking charge of your hearing health ensures you are getting the most out of every concert. If you are hearing impaired, we encourage you to speak to an audiologist, who will help you in selecting the best hearing aids. San Diego Hearing Center has been providing hearing evaluations, diagnostics and treatments to our community for years. To learn more about hearing protection and treatment, contact our staff at (619) 298-8546. →What’s the Best Way to Treat Your Tinnitus?